The premier fire industry event will be here before you know it! 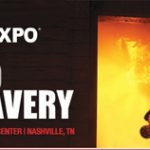 Firehouse Expo 2017 will be held October 17-21, 2017, in Nashville, TN. Upwards of 7500 firefighters, fire chiefs, captains, lieutenants, students and more take advantage of this unparalleled opportunity each year to learn from the nation’s most accomplished and respected instructors, providing full coverage of the firefighting professional landscape. Attendees gain exclusive access to top experts, exchange ideas, participate in some of the most advanced hands-on training available and become familiar with the latest tools and equipment. Don’t miss this opportunity to elevate your expertise and become a better, more motivated, more empowered firefighting professional. More than 120 conference sessions from the nation’s most accomplished and respected instructors including expanded pre-conference sessions and featured hot topic programs. Expanded hands-on training programs give you the opportunity to hone your skills, earn continuing education credits, and gain new expertise. Larger exhibit floor highlighting everything you need to know about apparatus, PPE and fireground technology. Third-annual Legends and Icons celebration featuring the induction of the 2017 Firehouse Hall of Fame class. 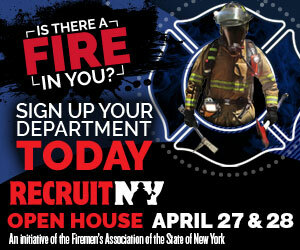 Fire News readers can register at FirehouseExpo.com or FireNews.com. Use promo code FIRE NEWS VIP for $50 off of the current package pricing and get a free Exhibit Hall pass.